A tangerine so small that it fits into a baby's bootee - never mind a stocking - is going on sale in time for Christmas. The fruit, which is the size of a cherry tomato, is one of the smallest and oldest varieties of tangerine in existence.But while it has been grown in China for more than 1,300 years, it is virtually unknown in Europe. 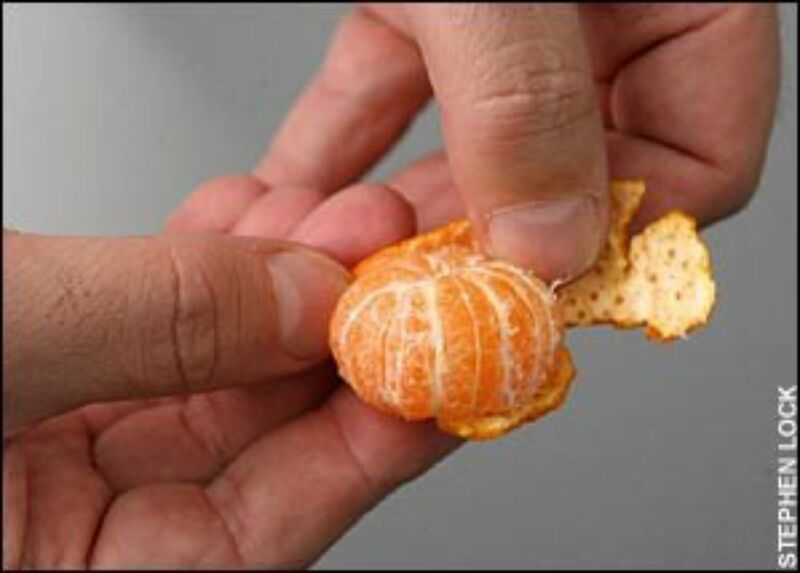 Marks & Spencer says that unlike larger tangerines, the tiny version is easy to peel. It has a sweeter flavour than usual and no pips. Its arrival in Britain could help revive the tradition of tangerines at Christmas. Sales have fallen in recent years because shoppers find satsumas easier to peel. The tangerines are expected to be popular in children's lunch boxes. Richard Brown, a fruit specialist at M&S, said: "Tiny tangerines have a delicious sweet taste, are easy to peel and their size makes them really stand out. Children love mini-versions of fruit so the tiny tangerine will be the perfect stocking filler. More people are looking for something different and novelty fruit is more popular than ever." The tangerines are grown in the Jiangxi region. They came to the attention of a buyer Marks & Spencer sent to China to find exotic, easy to peel, fruit. After pressure from environmental campaigners about food miles, it is importing them by ship rather than plane.